At Rocketium, we have been working over the past several months to move towards GDPR compliance and build a strong data protection framework for all our users. This is a massive overhaul of our processes and product features to ensure we're meeting obligations and implementing the right actions for our users. We've improved the navigation and organisation of these policies to make it easier for you to find what you're looking for. We've also explained our practices in more detail, and with clearer language. Since we use third-party suppliers to make Rocketium available, we have updated our Data Processing Agreements (DPAs) that commit our vendors to uphold data protection standards defined under GDPR. We recognise that it's important for you to control your information. Hence, our team is building the necessary features which give greater visibility and control to our users on how their data is used by us. 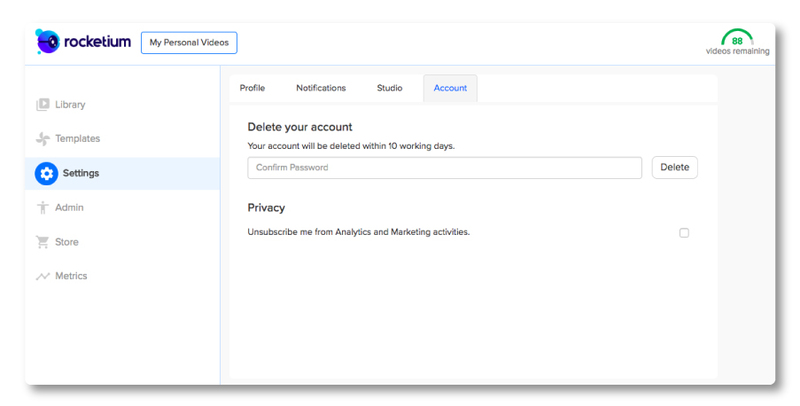 This includes the option to opt out of marketing analytics & communication, deleting account and all data associated with it, and better access to information on how user data is stored and processed. The audit covered, in detail, what kind of personal data we process, where that data is stored, and what employees have access to it. We have also reviewed our vendors who process this data and have taken efforts to validate if they are following the GDPR guidelines around data protection. We are also in the process of instituting policies around data storage, data access, and data retention.